On a sprawling 3 acres in Itasca, Illinois this property includes several relaxing vignettes, a putting green and tennis court. Perfect for entertaining it also boasts a custom fireplace and spa. This entry was posted in Design Build, ILT Vignocchi, Patios and tagged construction, design build, design ideas, fireplace, garden design, horticulture, hot tub, ilt, iltvignocchi, Jacuzzi, landscape, landscape architecture, landscape contractors, landscape design, landscape ideas, spa, stone fireplace on July 9, 2018 by iltvignocchi. Don’t forget to follow us on You Tube to stay up to date on all of our exciting drone videos! This entry was posted in Design Build, ILT Vignocchi and tagged barns, construction, design build, design ideas, doomis home builders, landscape architecture, landscape design, landscape ideas, landscapers, silos, tips on July 3, 2018 by iltvignocchi. They all look the same from a distance but show subtle differences when examined closely. and you should take that time. The subtle (or sometimes extensive) differences in capabilities, commitment, and conscientiousness will have a significant impact on the performance on your property; and that performance can make you, the property/facility manager, look like a hero to your residents, tenants, and employees…or not. Here are five important lines of questioning to help you ensure that you are hiring the contractor best suited to make you look like a hero. CONTRACTS: What is your contract structure and how are fees applied? Contract terms have many variations (per plow, per inch, lump sum, time & material, etc.). You need to have clear terms that suit your specific needs, with reliable pricing, and no surprises. 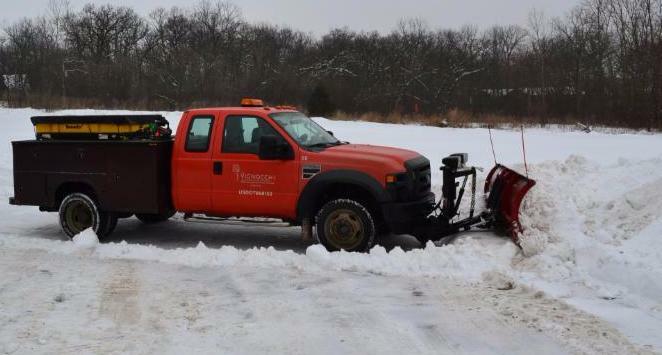 While cost is always a factor when making contractor choices, the less obvious consequences of using a lower priced but ultimately incapable snow removal contractor can cost you much more than money if that contractor fails to perform during one of Chicago’s challenging winters. Additionally, if those less expensive contracts are peppered with “extra” charges, you can find yourself paying much more than you would have had you chosen a more comprehensive service provider. CAPABILITIY: What is your company’s policy in regard to the amount of snow removal business you will commit to in any given winter and where will my property fall in your list of priorities? How do you determine the maximum thresholds that you can manage? How do you allocate your resources during a weather event? Do you handle the snow removal work in-house with your own employees or do you need to rely on the help of outside subcontractors who may not offer the same level of commitment to the work? Who are some of the customers you work with now that I can talk to about their experience with you? PLANNING: What is your specific operational plan for my property? Are you familiar with properties like mine and clear on our specific needs? What resources are you willing to commit to this property? TECHNOLOGY: Do you subscribe to a reliable weather forecasting service that will provide site specific forecasts on a real-time basis, daily operating forecasts, snow and ice warnings that are geographically targeted to our service area, and snow accumulation reports to assist us in the management of your force? How are your crews dispatched and monitored throughout an event? Do you rely on media broadcasts, airport reports, your own production yard, or will you send a representative out to my property to assess conditions on the site prior to mobilization? ACCOUNTABILITY: How do you measure and document snowfall to determine commencement triggers, billing parameters, and mobilization? What is your reporting process to ensure that I will be kept informed of progress and problems throughout a weather event? Who will be available to me for communication regarding issues and special needs? What is your policy for repairing or resolving damage that occurs as a result of the snow removal efforts? Taking the time now to find out a little more about the differences between contractors by asking these important questions will help to ensure that you are using the company best suited to satisfy your needs. At ILT Vignocchi, we welcome your scrutiny; and if you become a customer, we will make you look like a hero. Call or email us today and find out more about the ILT difference. This entry was posted in Snow and tagged commercial buildings, construction, ilt, iltvignocchi, landscape, snow, snow removal, tips on August 24, 2017 by iltvignocchi. After an uncharacteristically hot and dry June, Mother Nature just sent us a harsh reminder of her ability to restore rainfall statistics rapidly. Unfortunately for many homeowners and businesses, this reminder came in the form of a seven-inch downpour over a 24-hour period that is still causing overflow and flooding around local rivers, lakes, and retention ponds. While it is difficult to predict and prevent the kind of flooding issues that are created by such catastrophic weather events, these events serve as a reminder to property owners, both commercial and residential, to be more aware of the impact that water flow has around your property. Having a well-conceived and expertly executed drainage system around your buildings and grounds can mean the difference between staying high and dry through any weather event, or dealing with flooded yards, basements, parking lots, and roadways. Generally, rainfall is the catalyst for creating drainage issues but ground water, specifically the location of the water table, can also play a role in the ability of water to move by design. Where land is flat, soils are dense (clay), or the water table is high, a well-designed drainage system is a priority. Consideration of grading, water flow, and proper drainage is essential to prevent minor issues during normal weather and to minimize major damage during catastrophic events like the one we experienced here in northern Illinois last week. Without proper drainage systems in place, water can enter and undermine structures, damage drives and roadways, cause erosion issues, and drown expensive plant material. It is not always enough to rely on the original drainage plans that were created for your property when it was first developed and constructed. Typically, the more recent the development took place, the better the chances are that the drainage systems were designed and constructed to effectively move water around the property. Older properties may have experienced settling, ground shifts, changes in water tables, neighboring development, or many other factors that can influence the effectiveness of these systems. New or old, it is a good idea to observe and review the water flow issues on your property before a major problem occurs. SURFACE WATER is one of the more common problems associated with improper or inadequate drainage systems. Sites with clay soils will likely have issues with lingering surface water. By design, developed land should be graded to drain so that water flows through swales or sheet drains across turf or pavement to the curb or storm drain. The reality is that builders don’t always get their grades right and water becomes trapped, causing puddles on pavement, backflow against foundations, soggy zones in lawns, and muddy planting beds. Downspout/sump pump discharge is a huge contributor to surface water issues. Enormous amounts of water can come off a building’s roof or be channeled into a sump pit during a typical rainfall. This water is often just re-directed back along the foundation of a building where it can go right back into the sump pit or collect on the surface of the ground around the structure. SUB-SURFACE WATER collects underground, and becomes trapped when there’s poor drainage due to the existing soil structure or high water tables. When it freezes and expands, the potential for damage increases. The frozen water pushes against your foundation and paved surfaces, causing heaving, cracking, and structural damage. Solutions to improper site drainage can range from the very simple to much more complex depending on the nature of the issue and its underlying cause. Conceptually, solutions fall into two basic categories. Capture the runoff and store it for reuse or allow it to percolate back into the soil. Rain barrels and cisterns are used for storage of runoff water for use later as manual watering sources. Dry wells, French drains, rain gardens, and specific soil amendments can be used to collect and redistribute water back into the surrounding soil.These solutions have many environmental benefits such as reducing runoff from your property, filtering runoff, watering your yard, and recharging groundwater. Intercepting and redirecting runoff provides an opportunity to safely discharge high volumes of water to a place away from the problem area(s). This can be done using swales, French drains, catch basins, underground pipe assemblies, or downspout/sump pump extensions with splash blocks. These methods of rerouting water can also be combined with other capture and storage elements to provide even more benefit. Please make note that whenever you are redirecting runoff, you must send it to a suitable outlet. Discharging runoff to an unsuitable area will just move the problems downhill. Be aware that redirecting runoff without collecting it or allowing it to percolate into the soil can negatively impact neighboring properties. The first step in solving drainage issues on any property is discovering that they exist. Problems like foundation seepage and erosion might not be obvious until a major issue develops at which point resolution can be expensive and complicated. To become aware of potential trouble spots, walk your grounds after a rainfall event and look for places where water has collected. Does it take more than an hour or two to dissipate after a heavy downpour? Are there signs of erosion around the downspouts or sump pump discharge points? Are you finding soft, wet spots in the common turf areas that do not dry out readily? Are you seeing a decline in the health and appearance of plant material located in the collection areas? These are just a few of the signs that water is not percolating or moving appropriately around the grounds of your development or commercial property. Time to consider having an expert come out and assess the problems. ILT can do simple visual inspections or accurately read existing grades by laser transit to establish the exact topography no matter how flat the site may seem.and determine precisely where and why water is moving the way it is on your property. From that information, we can evaluate and present potential solutions for your consideration. While last week’s flooding can serve as a reminder of the devastating impact heavy rainfall can have, it does not take a seven-inch downpour of water to cause damage around your property. Finding and resolving water flow issues before they become expensive problems is always a better solution. Call ILT Vignocchi today and we can start a conversation about resolving water flow issues at your HOA or commercial building. This entry was posted in Uncategorized and tagged catch basins, construction, design build, drainage, french drains, ilt, iltvignocchi, landscape, landscape ideas, net zero water, pvc, subsurface water, surface water, swales, temperatures, tips on July 17, 2017 by iltvignocchi. In Case You Were Wondering…how to get rid of the soggy areas around your property that never seem to dry out and create a muddy nuisance where grass won’t grow, read on. Most commercial buildings and multi-family communities have storm drains and retention/detention ponds to accommodate the water that is trapped when the natural landscape is replaced with buildings and impervious surfaces such as asphalt parking lots, streets, and sidewalks; and rain can no longer be absorbed by the ground. These solutions work well to divert or capture large volume runoff, provided the drainage systems are designed effectively to carry the water to the drains and/or holding areas. But what about the areas around your property that never seem to drain off? When water is diverted into a low area that has no outlet or is not suitable for drainage, water will begin to pond, and over time the weight of the water will compact the soil and create a deeper pool, allowing more water to sit. A rain garden can be a very practical and effective means of addressing these drainage issues; particularly where downspouts are not placed appropriately or do not run off properly; settled ground has created depressions that trap water; or the ground has become so compacted that water simply no longer infiltrates the soil. Grass, ornamental plants, and trees eventually die off from the excess moisture leaving you with wet, unusable areas around your property that never dry out. A rain garden is a shallow depression that captures rain water and holds it for a short time until it is absorbed into the ground, evaporates, or is taken up by plants. The rain garden is an innovative and eco-friendly landscaping solution that’s gaining in popularity, particularly in office parks and multi-family communities. An increasing number of property managers and commercial property owners are discovering how a rain garden can be an inexpensive and effective solution to these unsightly, unusable areas; while at the same time help to decrease erosion, improve water quality, create wildlife habitat, and provide aesthetic benefits. more pollutants being washed into streams and reservoirs. Rain gardens provide a solution to these problems by helping to slow the flow. Additionally, rain gardens provide a practical and effective solution to the smaller scale drainage issues described above. A well-functioning rain garden traps and cleans storm water and reduces its volume (through rapid absorption) once it enters the garden. Properly designed and maintained, rain gardens are also attractive landscaping elements that function like native ecosystems and can look as naturalistic or as formal as you like. The plants in the gardens absorb excess water and provide important habitat for pollinating insects, birds and other wildlife while also adding visual appeal to the land around your community or your business. But you’re not merely building a catch-basin that’s going to turn into a pond every time it rains. Far from it. With sound design, (the appropriate soil/gravel, knowledgeable plant selection, and correct installation), water is absorbed quickly – usually within a few hours. And, in case you think your rain garden will provide a new breeding area for mosquitoes – think again. A rain garden doesn’t retain water long enough to make it a viable area for mosquito development. Depending on temperature, it takes 24-48 hours for mosquito eggs to hatch. After the eggs hatch, the larva must live in water for several days. A properly installed and maintained rain garden does not hold water long enough to accommodate the development of mosquito larvae. Contact ILT today and find out how the installation of rain gardens can help you solve some of the drainage issues around your community or business. By creating a rain garden(s) you can eliminate those problem areas of your landscape while helping to keep some of the rain that falls on your site contained on site, the way nature intended. And in addition, you can help improve water quality in local streams/rivers, save water, reduce pollution, and help wildlife. This entry was posted in Uncategorized and tagged construction, design build, design ideas, drainage, erosion, iltvignocchi, landscape, landscape ideas, natural solutions, planning, rain garden on March 28, 2017 by iltvignocchi. Published annually by The American Institute of Architects, the AIA home design trends survey gives insight into how the market is performing, but what customers are interested in. This 2016 report sheds some light on the landscape industry as well. We learn that the trend for larger homes is still on the uptick. The trend challenges landscape architects to combat municipality’s permeable surface limitations with permeable paving or vertical gardening when creating outdoor spaces. Another popular trend fueled by an increase in median age is being mindful of accessibility issues. This effects outdoor spaces as well and must be thought of ahead when creating walkways, gates, and outdoor entertainment spaces. One of the most interesting and most pressing trends is not the increase in those interested in high end landscapes, but those that also seek ones that require low irrigation. It is something that we hear frequently from our customers. “I want something low maintenance.” It is heartening to see that a sense of responsibility to environmental preservation is continuing to creep into design fields. As design professionals it is important that we don’t design inside a box. We try to keep abreast of all sorts of industry trends so we can deliver the most thought out products for our customers. This entry was posted in Uncategorized and tagged AIA, construction, design, design build, ilt, iltvignocchi, landscape, net zero energy, net zero water, tips, trends on February 21, 2017 by iltvignocchi. Spiritual and emotional health are a huge part of succeeding in business and in life in general. Much has been written about the potential benefits of incorporating specifically designated meditative environments, or mental health rooms, into the landscaping surrounding commercial office buildings or in the common areas throughout multi-family communities. There is growing evidence to suggest that exposure to and use of these natural environments can be associated with mental health benefits that include lower levels of tension, increased potential for attention restoration, and reduced anxiety. Additional evidence suggests that interacting with nature can improve cognition for children with attention deficits and helps individuals coping with depression. Meditation in the workplace can help lower a company’s health-care costs by reducing chronic stress, a major risk factor for illness. A company can improve employee morale, mental focus and sense of well-being. This can reduce the number of sick days and workplace injuries while increasing productivity. Offering a natural space for employees to meditate, relax, reflect, unwind, ponder new ideas, or even just think, helps companies empower employees to manage their own stress and well-being. By providing a space for these practices, the company sends a message that the well-being of its workforce is a priority, which enhances its image; aiding in the recruitment and retention of high quality talent. By offering natural outdoor meditative rooms, a residential multi-family community can improve their marketing appeal and increase their property values, separating their association from their competition. These separated spaces are designed to encourage restorative reflection in which a person or family can escape from the stressful demands of daily life. Potential owners and tenants will see a benefit from having access to calm and peaceful spaces in which they can get away from the pressure of the office or home environment; to recharge and refocus. Today’s modern work force and residential communities include people with a wide diversity of beliefs, cultures, and traditions so it is important to consider whether your outdoor “mental health” space should be tied to a specific religion or culture. Meditation spaces can be constructed to replicate a specific cultural model or they can incorporate and combine various aspects of any number of ancient or modern cultural derivations. While they can reflect many different themes, they usually include the use of plant selections and hard elements of varying colors, textures, and aromas. Zen gardens use rock formations, statuary, koi ponds, and sand/gravel arrangements, or sometimes with no growing plants or water features at all. Planted labyrinths or mazes are meditative tools serving as a metaphor for the inner maze that leads to the authentic self. The ancient Asian philosophical practices of Feng Shui are often incorporated into the arrangement of plants, rocks, water features, benches, etc. to promote the harmony between individuals and the surrounding environment. Whatever thematic elements you decide upon, the space needs to create a sense of separation from the rest of the landscape. The meditative room doesn’t have to provide actual privacy so much as to feel secluded; distinctly apart to provide that feeling of “getting away”. A different surface can accomplish that, or some form of a structural enclosure. Running water can separate a space and its sound is a soothing way to cover up traffic or background noise. Understated plantings around surface changes can be designed and positioned in a way to lead the visitor to a sense of arrival that psychologically isolates without necessarily creating a distinct physical separation. A well thought out combination of these elements can often provide the most effective and enduring results. If you like the idea of incorporating outdoor meditative spaces into the landscaping around your building or in your community, or if you simply want to start with re-creating a calming view from a conference room or lunchroom window, give ILT a call today. You can start with a simple conversation to discuss the concept and its possibilities. 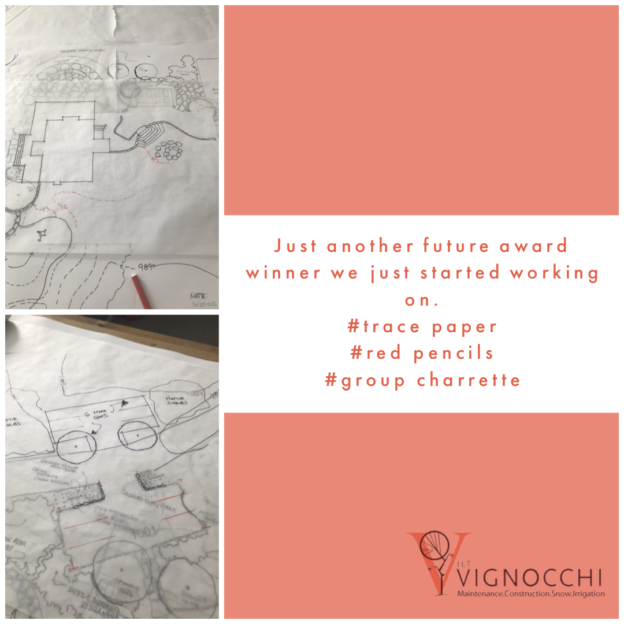 One of our experienced landscape architects will work with you through every phase of your project, from its conception to the design and construction of your meditation space, to the sound maintenance practices and periodic updating that will keep your space current, relevant, and attractive to your employees, tenants, residents, and visitors. Call or email ILT today and let’s get you thinking about thinking! This entry was posted in Uncategorized and tagged commercial buildings, construction, design build, design ideas, feng shui, health, horticulture, iltvignocchi, landscape, landscape ideas, landscapers, meditation, tips on January 30, 2017 by iltvignocchi.